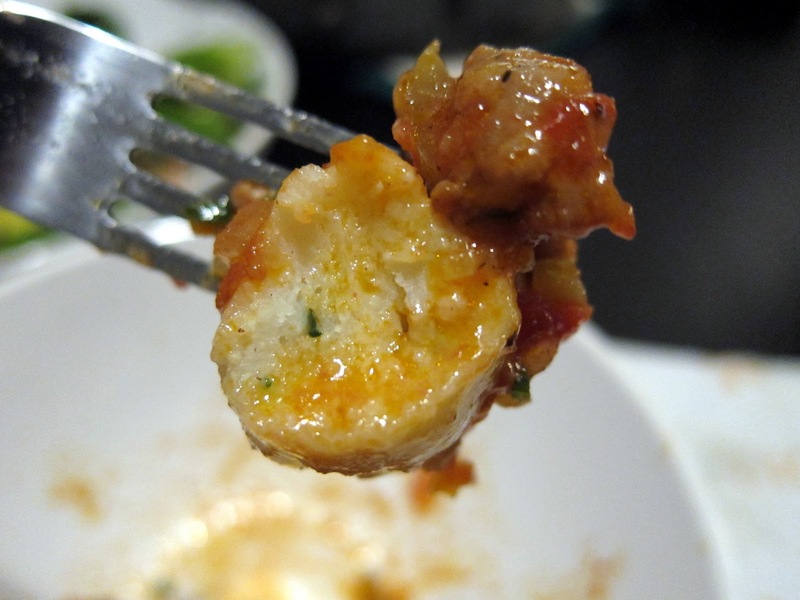 Ricotta Gnochi with Sausage and Fennel – Overworked. Underfed. Making your own pasta looks so easy. Mix some flour, water, eggs, etc and roll out the dough and presto! I’ve been wanting to try it but I haven’t gotten around to it. Instead, I’ve tried making my own ricotta gnocchi, also known as gnudi, which apparently means “naked.” I guess these are supposed to be like the filling of a pasta but without the pasta, hence the nakedness. My first encounter with gnudi was at Restaurant Zoe in Seattle. In short, it was heavenly. So I wanted to see if I could recreate a little bit of heaven in my kitchen too. In short, I could not. Mario Batali’s recipe for ricotta gnocchi seems simple enough. 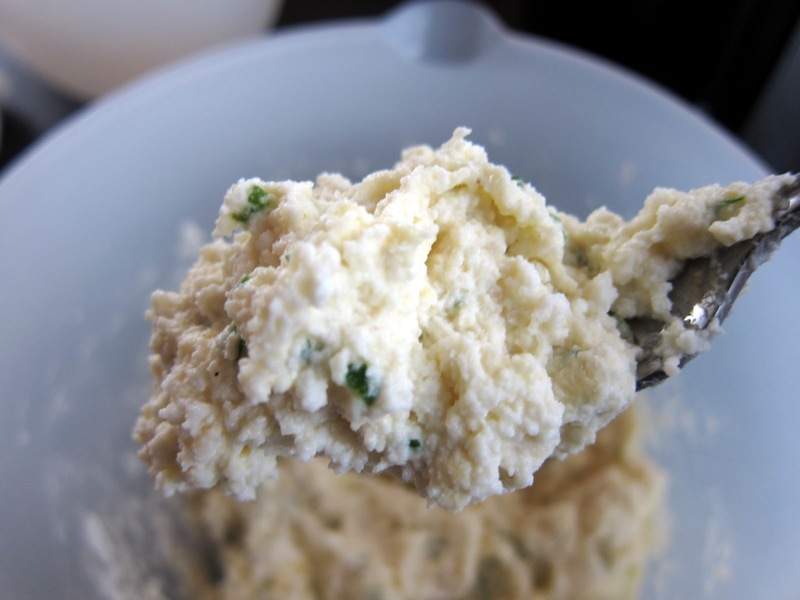 Eggs, flour, salt, nutmeg, and ricotta cheese. He suggested goat’s milk ricotta but I couldn’t find that and had to settle for regular cow’s milk. I think I bought a reduced fat one by accident. I suppose the key here is draining the ricotta through a fine sieve overnight in the fridge to drain out the excess liquid. After a whole day in the fridge, hardly any liquid drained out. I think I should have taken that as a bad omen. 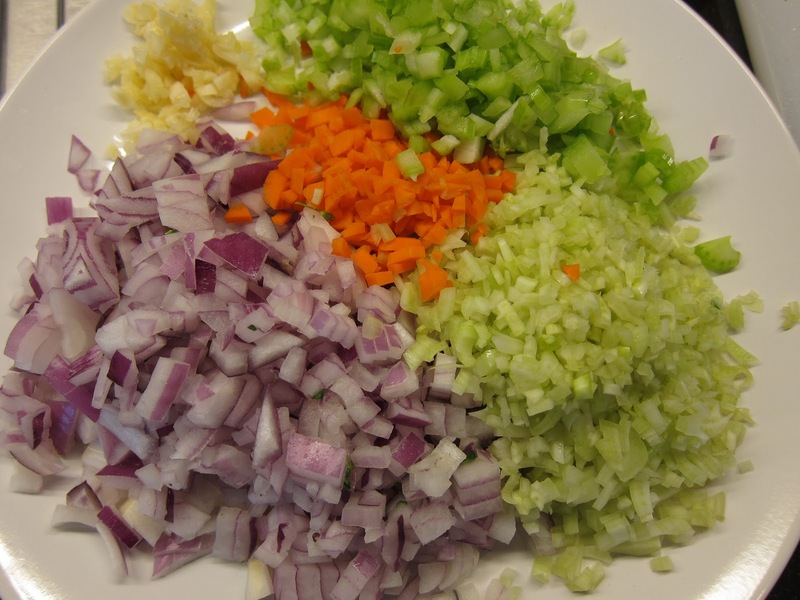 Here is what it looks like after all the wet ingredients are mixed together. This is how it looks after the flour gets mixed in. The directions say to mix in more flour if the dough too wet and sticky. I ended up putting in a whole sh*t ton of flour just so I could handle the dough to make the little balls. It was still sticky up to that point but I didn’t want leaden balls rolling around in my sauce. After much blood, sweat, and tear, I finally had a tray full of gnocchi balls to boil. 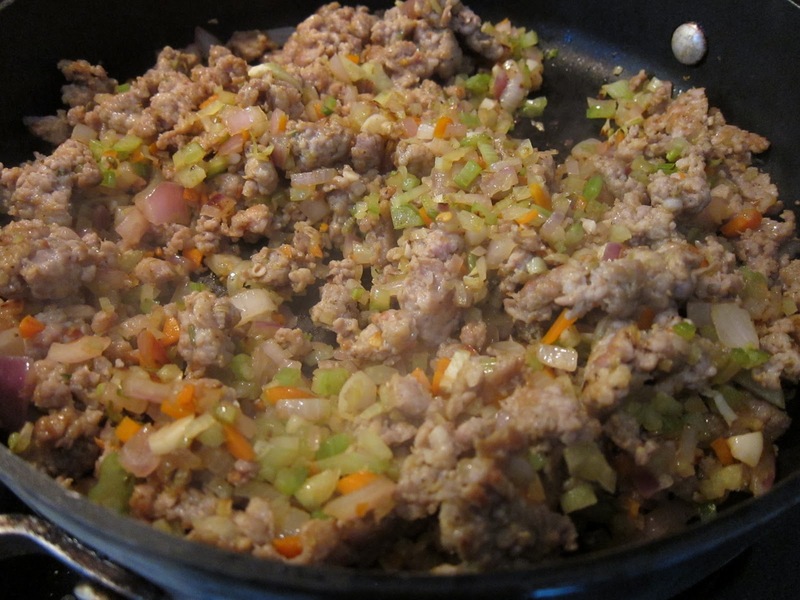 The sauce for this was a pretty simple meat sauce whose key ingredients are fennel and spicy sausage. 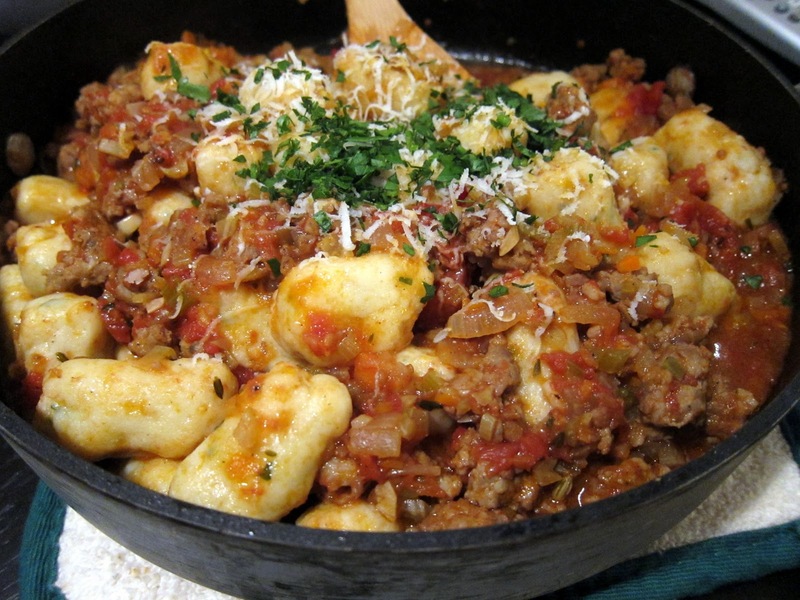 Mix in your sauce (preferably homemade) and toss in your gnocchi. My gnocchi were on the denser side, not like the light fluffy gnudi I had in Seattle. It was still good. I think the sauce was especially tasty. It’s not unlike any sauce I’ve made before mixing sausage with sauce, but the difference was the fresh veggies, the fennel which had that anise scent, and the homemade sauce. Dumpling Man enjoyed this dish as did I. It made for good leftovers for quite some days thereafter. I would try making this again, hopefully with the right ricotta. 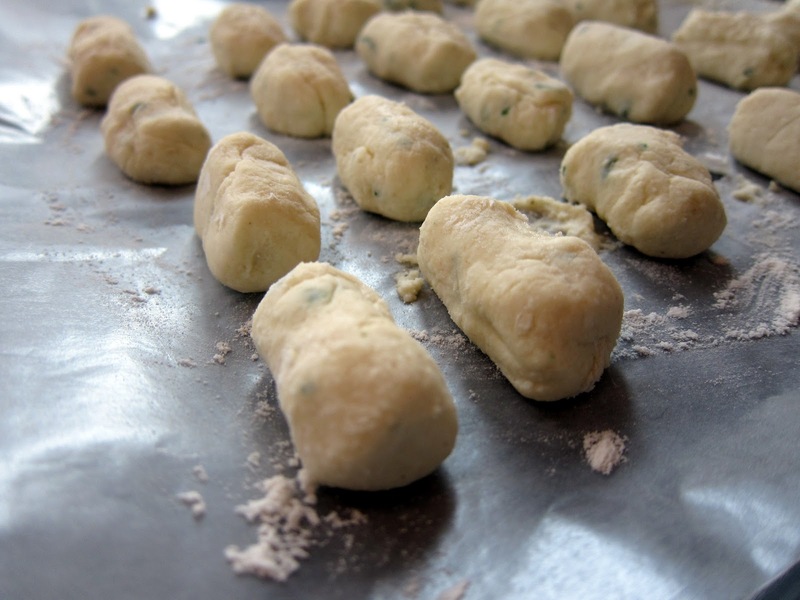 Maybe I’ll use a pastry bag to dole out the gnocchi pieces so its not such a sticky mess next time. And if you feel too overwhelmed making your own gnocchi, just make the sauce and boil dried pasta. It will still be delicious. Place the ricotta in a fine sieve over a bowl. Cover with plastic wrap and refrigerate for at least 8 hours, or overnight. 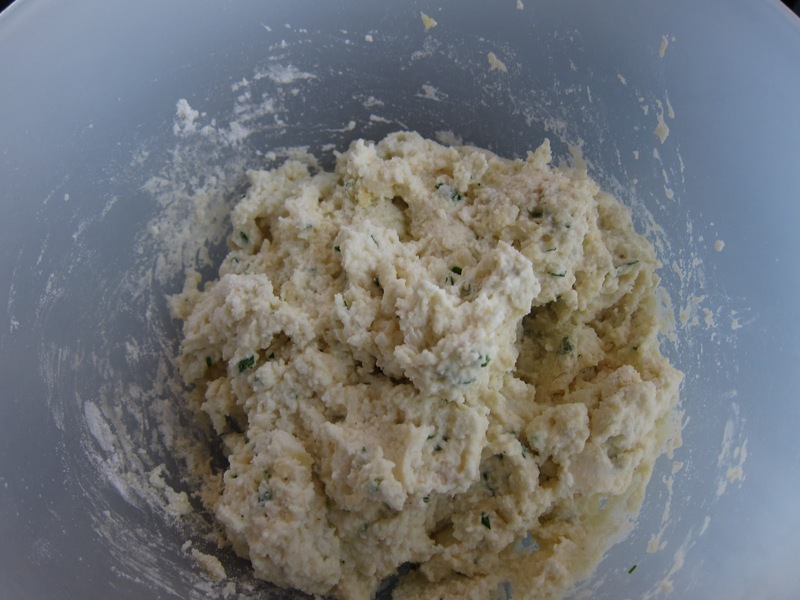 In a medium-sized bowl, stir the drained ricotta, 1 cup of the flour, the eggs, parsley, salt, pepper and nutmeg together gently but thoroughly until a soft dough forms, adding a little more of the flour if the dough is sticky when poked. Forming the gnocchi: dip 2 tablespoons in cool water. Using 1 spoon, scoop up a heaping tablespoon of the ricotta mixture and use the other spoon to form it into a smooth, pointed oval. (Alternatively, you can roll the mixture into balls with well-floured hands, using about 2 tablespoons ricotta mixture for each ball.) Place the gnocchi on a baking sheet lined with a lightly-floured kitchen towel. 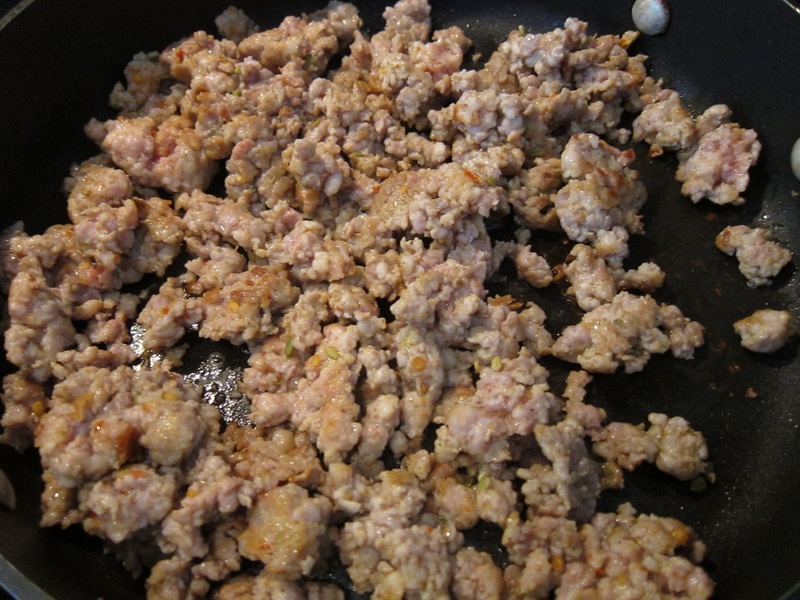 In a heavy-bottomed pan, cook the sausage over high heat until it begins to brown in its own fat. Add half of the fennel seeds and chile flakes. 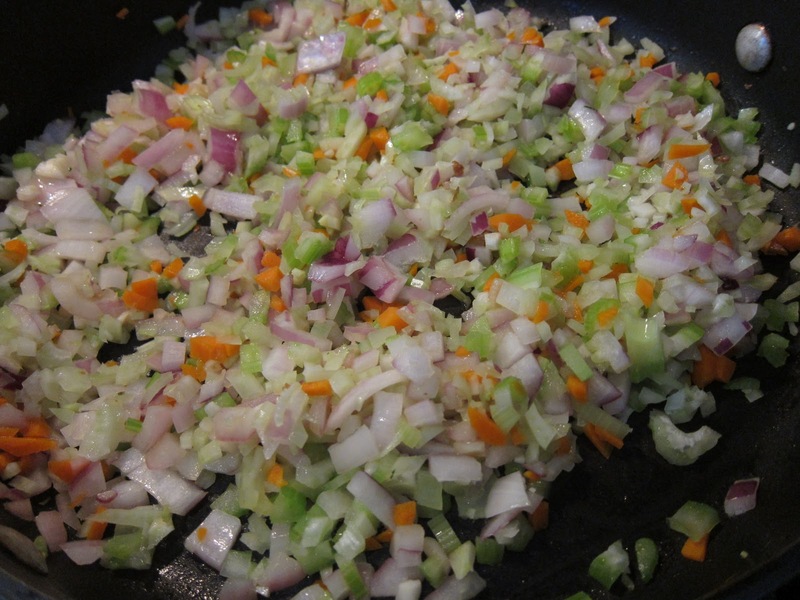 Remove the sausage from the pan when cooked through and add the onions, fennel, carrots, celery and garlic. Cook the vegetables until they’re well browned and return the sausage to the pan. Add the tomato sauce and remaining fennel seeds and chile flakes. Simmer 1/2 hour, until vegetables and sausage are very tender. Season well with salt and pepper. Meanwhile, bring 6 quarts of water to a boil and add 2 tablespoons salt. Gently slip as many gnocchi at a time as will float freely into a pot of boiling water, stirring gently with a wooden spoon as you do. Cook until the gnocchi rise to the surface, about 7 minutes. (Test 1 for doneness by cutting into the center; the gnocchi should be the same color and consistency all the way through.) Scoop them out with a wire skimmer as soon as they are cooked. Drain and add to the pan with the hot ragu, tossing gently 1 minute to coat. Top with Pecorino Romano and serve immediately.